Before doing the Meditation for Contacting Spirit Guide, there are a few important things you should know. Each of us has at least one spirit guide. Spirit guides are also known by the term guardian angels and other names. Just as you are a spiritual being in a physical body, guides are spiritual beings who do not have bodies at this time. But they have probably had physical bodies before and they might even have bodies again. Your spirit guide watches over you and offers guidance and support on your spiritual journey–even if you’re not aware of it. A true spirit guide is an evolved being who has agreed to support your spiritual evolution. True spirit guides respect you and your right to choose your own path. Real spirit guides are wise, compassionate and often amusing. If you are ever aware of a spiritual being who does not respect you and others, it is not your spirit guide. Tell any less evolved beings to “Scram!” and call in your real spirit guide. When doing the Meditation for Contacting Spirit Guide it is useful to know, spirit guides can appear in many different forms…from looking human-like to appearing more like a ball of light. Spirit guides do not necessarily have wings. In some ways, the spiritual world is similar to the physical world. There are some beings who have your best interests at heart. And there are some beings who do not have your best interests at heart. It is the same in the spiritual world. You need to discern which spiritual beings you want to form relationships with. You may be working with your spirit guide for the first time in this lifetime, or you may have known your spirit guide in other lifetimes. Occasionally spirit guides are a deceased relative. As long as they are caring and respectful, they can be suitable spirit guides. While spirit guides are always there for us, few people make the time to become aware of their presence. Doing the Meditation for Contacting Spirit Guide is an opportunity to begin opening up your awareness. 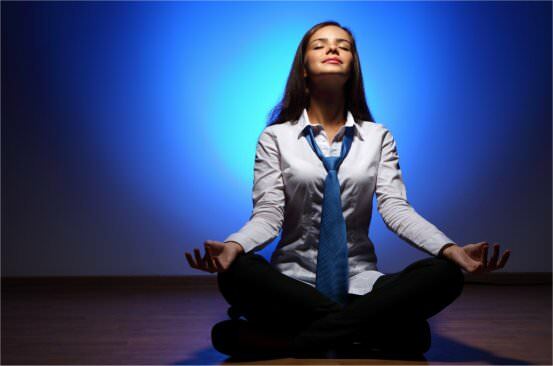 In fact, meditation is one of the best ways to start opening up your awareness of your guide. 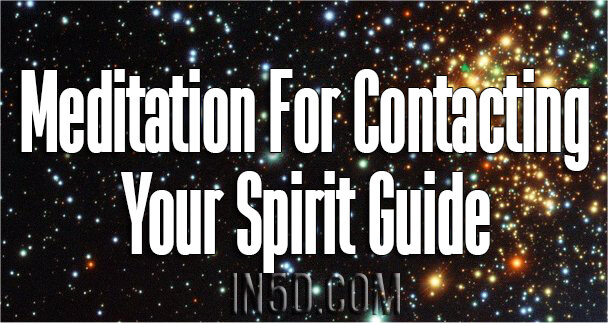 Here are basic directions for a short meditation to contact your spirit guide. Find a quiet, comfortable place for yourself–where you will not be disturbed. Create a safe, sacred atmosphere. Perhaps place a sacred object in sight and light a candle or incense. You might even play some gentle soothing music in the background. Relax your body. Breathe fully and perhaps do some light stretching. Sit comfortably. Close your eyes and focus your attention inward. Set your spiritual intent to contact your spirit guide. If you like, do a prayer to ask for spiritual support as you make contact with your spirit guide. Inwardly, call in your spirit guide. Start to open up your awareness of their presence. You may see them, feel their presence, hear them communicating, or somehow just know they are there. As spirit, say “hello” to your spirit guide. Allow yourself to receive a “hello” back from your spirit guide. Breathe and just be in their presence. Without speaking, ask your spirit guide if they have a message for you. Be still and allow yourself to receive their spiritual communication. Just be…and listen. After a few minutes, or when that feels complete, bring your palms together in front of your heart. Finish by saying,”Thank you” to your spirit guide–for all their support in life. Let go of focusing on your spirit guide and focus your attention on yourself. Give yourself some time to process this experience before moving on to other activities. You may want to journal, go for a quiet walk, or meditate with a focus on yourself.